The Winning Approaches from codeFest 2018 - NLP, Computer Vision and Machine Learning! Home Analytics Vidhya The Winning Approaches from codeFest 2018 – NLP, Computer Vision and Machine Learning! Analytics Vidhya’s hackathons are one of the best ways to evaluate how far you’ve traveled in your data science journey. And what better way than to put your skills to the test against the top data scientists from around the globe? Participating in these hackathons also helps you understand where you need to improve and what else you can learn to get a better score in the next competition. And a very popular demand after each hackathon is to see how the winning solution was designed and the thought process behind it. There’s a lot to learn from this, including how you can develop your own unique framework for future hackathons. We are all about listening to our community, so we decided to curate the winning approaches from our recently concluded hackathon series, codeFest! This was a series of three hackathons in partnership with IIT-BHU, conducted between 31st August and 2nd September. The competition was intense, with more than 1,900 aspiring data scientists going head-to-head to grab the ultimate prize! It’s time to check out the winners’ approaches! Abhinav Gupta and Abhishek Sharma. The participants were given a list of tweets from customers about various tech firms who manufacture and sell mobiles, computers, laptops, etc. The challenge was to find the tweets which showed a negative sentiment towards such companies or products. The metric used for evaluating the performance of the classification model was weighted F1-Score. Abhinav and Abhishek have summarized their approach in a very intuitive manner, explaining everything from preprocessing and feature engineering to model building. They hypertuned each of the above classifiers and found that LSTM (with attention mechanism) produced the best result. The Vista hackathon had a pretty intriguing problem statement. The participants had to build a model that counted the number of people in a given group selfie/photo. The dataset provided had already been split, wherein the training set consisted of images with coordinates of the bounding boxes and headcount for each image. The evaluation metric for this competition was RMSE (root mean squared error) over the headcounts predicted for test images. Both stages are connected to the backbone structure. As a part of enigma competition, the target was to predict the number of upvotes on a question based on other information provided. For every question – its tag, number of views received, number of answers, username and reputation of the question author, was provided. Using this information, the participant had to predict the upvote count that the question will receive. 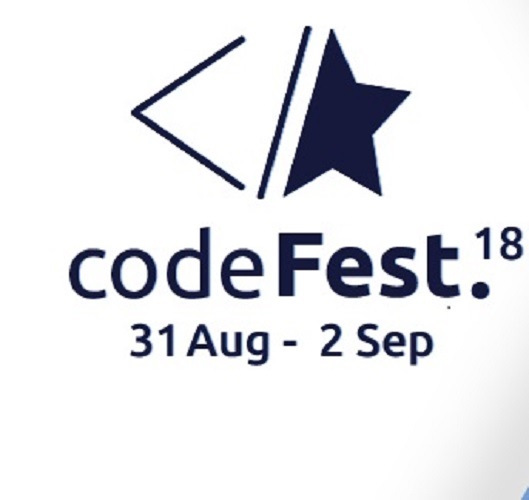 A big thank you to everyone for participating in codeFest 2018! This competition was all about quick and structured thinking, coding, experimentation, and finding the one approach that got you up the leaderboard. In short, what machine learning is all about! Missed out this time? Don’t worry, you can check out all upcoming hackathons on our DataHack platform and register yourself today! share the codes which they have done.. Winners have not openly shared their codes. You can check codes shared by participants on the leaderboard of the competition itself.